Sandy joined the Research Committee in 2014 and has been a member of the Women's Fund since 2007. She has spent most of her life in Dallas, Washington DC and Seattle before moving part-time to Santa Barbara in 2005. She has lived overseas with the Peace Corps in India and Malaysia. While in DC, she was co-director of a halfway house for first offending juveniles 10 to 13 years old. She got a BA in psychology and an MBA in finance from George Washington University and then worked in downtown commercial real estate representing associations, embassies and businesses. After moving to Seattle, she switched her focus to nonprofits. She co-founded the Washington News Council and was president of the board and treasurer for Youth in Focus. During the last three years, she became a member of Puget Sound Veterans' Hospital Institutional Review Board for the protection of human research subjects. 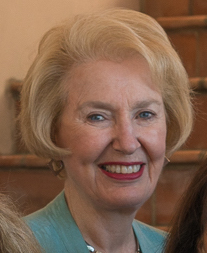 In Santa Barbara, she joined Santa Barbara Museum's Women's Board and is now a sustainer. Sandy has recently become involved with Social Venture Partners SB and is a member of their education affinity group.